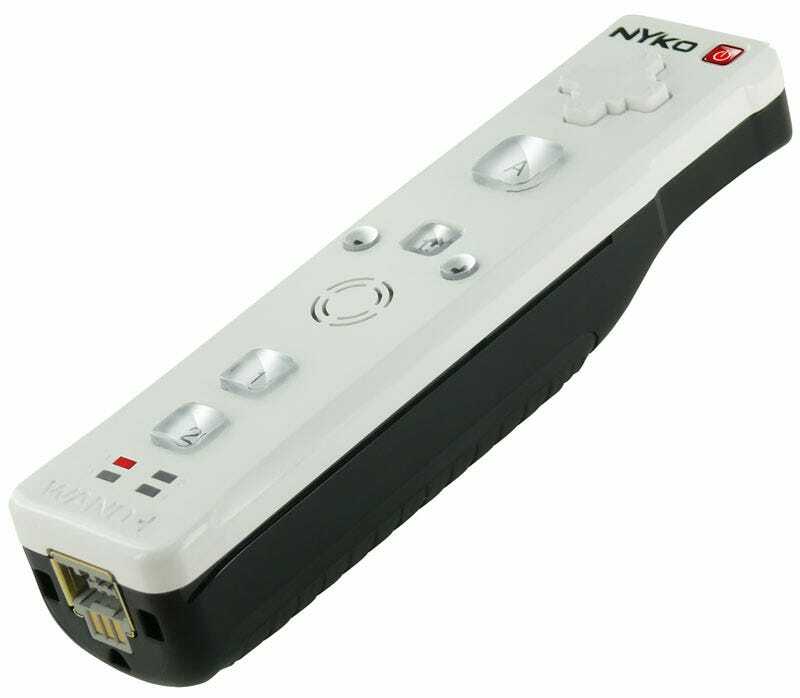 Nyko does what Ninten-didn't with the introduction of the Nyko Wand+, a Wii remote alternative with Motion Plus support built right in. Debuting today at CES in Las Vegas, the Nyko Wand+ features Full Motion Technology, offering the same 1:1 movement tracking capability as the regular Nintendo remote with the Wii Motion Plus add-on attached. In the official announcement, Nyko takes a subtle swipe at Nintendo for not creating an all-in-one controller of its own. Ouch. If I were Nintendo, I'd be a bit embarrassed. The Wand+ also includes Nyko's Trans-Port Technology, which allows action buttons to be replicated electronically on attached accessories, as opposed to Nintendo's analog connector. All this for $39.99 when the Nyko Wand+ ships this March.